Here’s yet another slot that borrows its imagery and theme from the world of classic casino gambling. 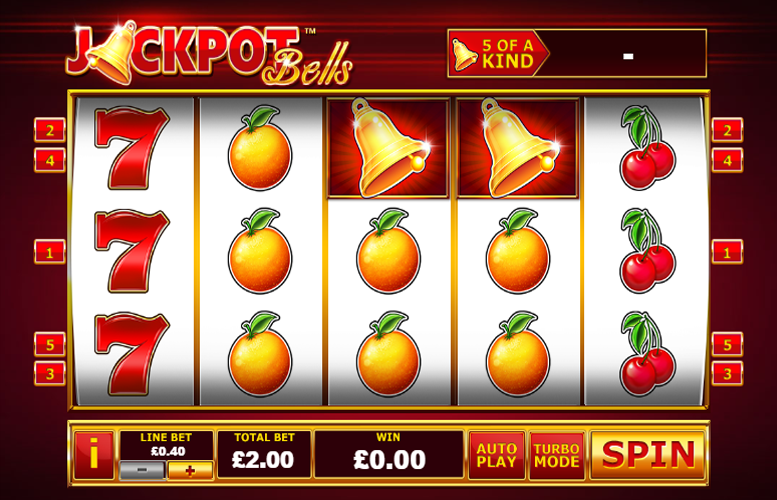 Jackpot Bells is a fruit machine in the truest sense of the phrase, yet it does offer players a couple of extra features. Firstly, there is an expanding “wild” symbol. Secondly, there is a progressive jackpot. Unfortunately, that is about where the fun stops. In terms of gameplay specifics, the game is played over a standard five by three grid. There are just five win lines on the gameboard. Also, players that wanted to bet micro, or medium to high stakes will be much better served by another title. The range of betting limits is bizarrely narrow, further limiting the appeal of this already easy-to-dislike machine. Progressive jackpot! 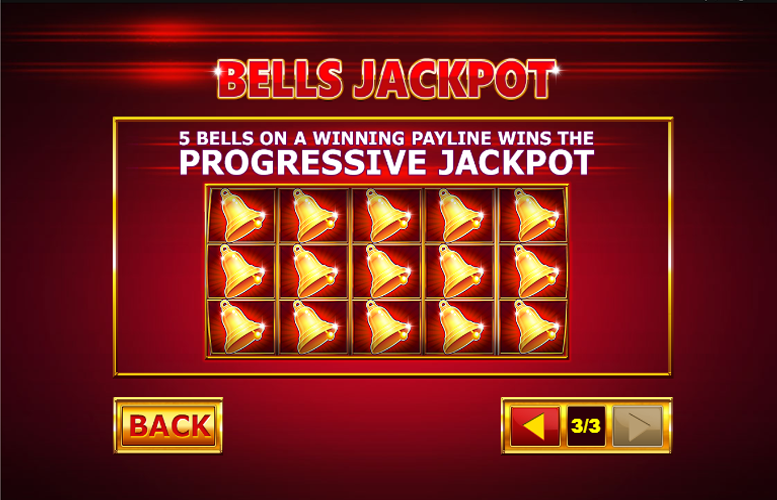 Jackpot Bells does allow players the opportunity to drop a truly life changing sum of money from just a single spin via the progressive jackpot – not bad! High main game prizes. 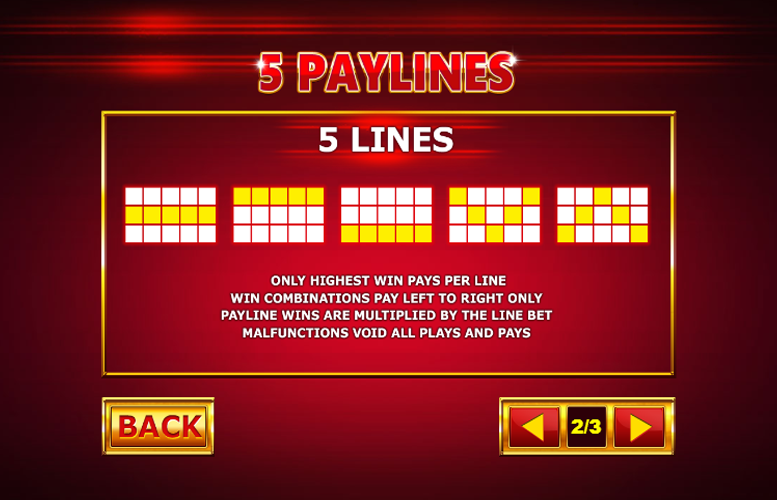 In addition to the game’s progressive jackpot, it is also possible to win some slightly less juicy prizes for hitting five-of-a-kind combinations. Incredibly tedious gameplay dynamic. Some players might enjoy the simplicity. However, we’re used to playing games with extravagant second screen bonuses or at least a few free spins thrown in! Tragically low betting limits. Some games from Playtech allow players to bet as much as £10,000 per spin. This makes the betting limit of just £20 seem miniscule by comparison. High minimum betting limit. Players wanting to bet less than £2 on each spin will be sorely disappointed by Playtech’s decision to restrict betting as they have done here. Just five win lines! There aren’t even many ways to win on the Jackpot Bells slot machine! Dull theme – we’ve seen a million and one of these classic casino slots now. For them to get high ratings, they really need to innovate! Note: progressive jackpot available and is always the biggest win possible. 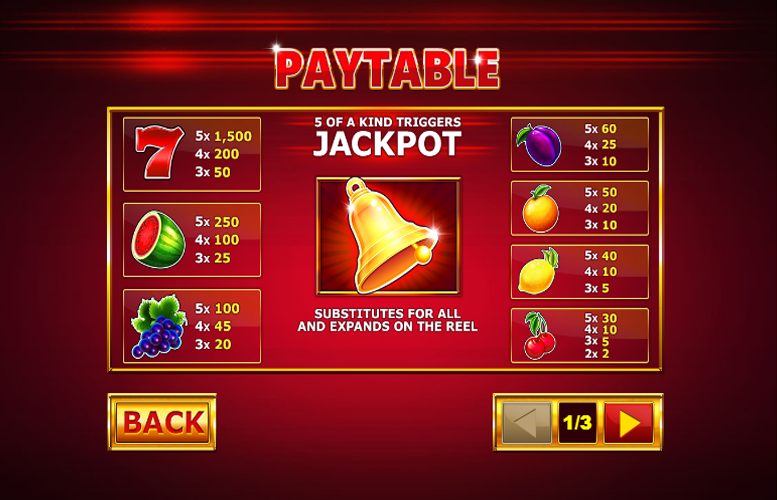 The top jackpots on the Jackpot Bells slot machine are all awarded for matching five of the same classic casino symbols along one of the five win lines. As usual, we’ve listed the prizes for each five-of-a-kind combination below. Naturally, the progressive jackpot figure will vary! Lucky Number Seven = 1,500x the line bet. Watermelon = 250x the line bet. Grapes = 100x the line bet. All the excitement on this game focuses around the Liberty Bell symbol. This is not to say that the inclusion of this special symbol makes the game all that much more entertaining but that is the goal behind it. The Liberty Bell symbol is the game’s “Wild” symbol. It will expand where it lands to complete as many potential win combinations as possible. What’s more, hitting five-of-a-kind Liberty Bells will award the game’s progressive jackpot – the only redeeming feature on an otherwise dull title. In addition to those symbols representing the highest prizes, there are also some that grant smaller payments. Just like their higher value counterparts, these are represented by pieces of fruit – just like in the old days of slot machine gambling. Plum = 60x the line bet. Orange = 50x the line bet. Lemon = 40x the line bet. Cherries = 30x the line bet. The number of win lines is fixed on Jackpot Bells at just five. This means players can only adjust the amount bet on each line. The options are incredibly limited here too. The lowest bet per line is 40p. Meanwhile, the highest is just £5. This means that the minimum bet per spin on Jackpot Bells is just £2. Meanwhile, the maximum is a wholly unimpressive £25. Such narrow betting limits certainly limit the appeal of the title. Some players want to play for just pence per spin. Meanwhile, others are happy to wage thousands. Both these player types will surely feel excluded by the Jackpot Bells slot machine. As you can probably tell, we weren’t impressed by the Jackpot Bells slot machine by Playtech. We’ve reviewed many “fruit machine” style titles previously and we’re well and truly desensitised to them these days. This means that one of these classic casino throwbacks really needs to stand above its peers to receive a high score from us. The slot’s only saving grace is its progressive jackpot mode. We think this is a fair inclusion by Playtech. If you can withstand the tedium leading up to dropping it, you probably deserve a lifechanging amount of money for your patience alone! This game has a rating of 2 / 5 with 351 total reviews by the users.